Our speakers are passionate about educating people how to live a healthy, sustainable, plant-based lifestyle that is healthier for people, animals and the planet! Eric O’Grey lives in Washington, DC and works as Director of Philanthropy for Physicians Committee for Responsible Medicine. Eric earned a Bachelor of Science degree from San Jose State University and a Doctor of Law degree from Emory University. 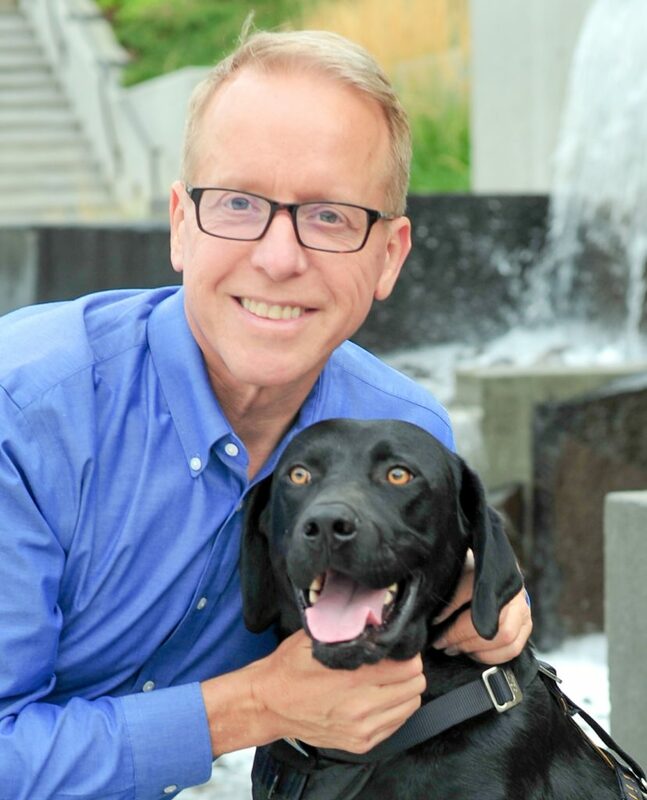 Eric’s personal story of recovery and redemption went viral with the Internet film Eric & Peety by Mutual RescueTM and his recent book Walking with Peety, the Dog Who Saved My Life, which is now on sale worldwide in 8 languages. Eric is passionate about animal kindness, plant-based nutrition, spending time with his wife Jaye, and long distance running with his dog Jake. For more information about Eric and his work, please see his website at http://ericandpeety.com/videos/. Presentation description: Eric O’Grey was 340 pounds, depressed, and on 15 different medications, including 200 units of insulin each day for type 2 diabetes. 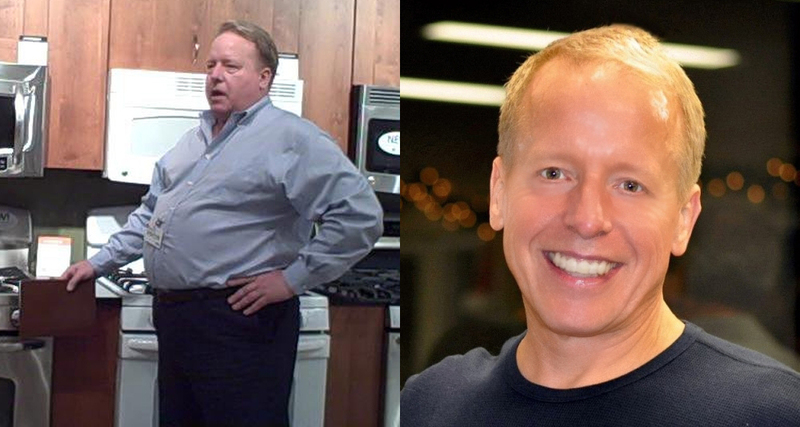 After 25 years of failed diet attempts, Eric’s metabolic syndrome, blood pressure, cholesterol and other medical problems got progressively worse until he met a doctor who told him she would treat the causes of his various lifestyle diseases rather than just their symptoms. When Eric’s new doctor prescribed a shelter dog rather than medications, Eric met Peety – an overweight, middle-aged dog who, like Eric, had seen better days. The two adopted each other and began an incredible journey together, forming a bond of brotherhood and unconditional love that forever changed their lives. During the next year, just by going on walks, playing together, and eating healthy plant-based foods, Eric lost 150 pounds, and Peety lost 25. As a result, Eric reversed his diabetes, got off all medications, and became happy and healthy for the first time in his life, eventually reconnecting with and marrying his high school sweetheart. 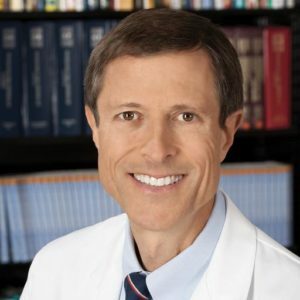 Neal D. Barnard, M.D., F.A.C.C., is a physician, clinical researcher, author, and an adjunct associate professor of medicine at the George Washington University School of Medicine and Health Sciences. In 1985, Dr. Barnard established the Physicians Committee for Responsible Medicine to promote preventive medicine, conduct clinical research, and advocate for higher ethical standards in research. The Physicians Committee also provides direct medical care through its subsidiary, Barnard Medical Center. Dr. Barnard works with patients with diabetes, obesity, and other chronic conditions in clinical research studies aiming to improve the prevention and treatment of these health problems. 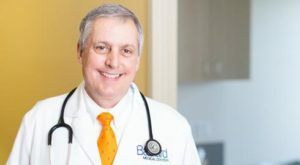 Dr. Barnard’s articles have appeared in the Journal of the American Medical Association, the American Journal of Clinical Nutrition, the American Journal of Medicine, the Journal of the American Dietetic Association, Scientific American, the American Journal of Cardiology, Obstetrics & Gynecology, Lancet Oncology, Preventive Medicine, and in many other scientific and medical journals. He is the editor-in-chief of the Nutrition Guide for Clinicians and the author of 18 books for lay audiences. In 2015, Dr. Barnard was named a fellow of the American College of Cardiology, and he received the American College of Lifestyle Medicine’s Trailblazer Award in 2016. He is an active member of the Medical Society of the District of Columbia, the American Medical Association, and other organizations working to improve health and medical care. Growing up in Fargo, N.D., his extended family includes both doctors and cattle ranchers, two groups that are increasingly butting heads over America’s health policies. Dr. Barnard’s scientific approach aims to shed new light on these important issues. Follow Dr. Barnard on Twitter @DrNealBarnard and Facebook @NealBarnardMD. Lee Crosby, R.D., L.D. is a staff dietitian. 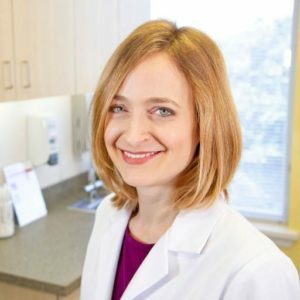 Ms. Crosby enjoys using plant-based nutrition to help patients lose weight in a body-positive way, prevent and reverse diabetes and heart disease, and ease women’s health issues. Ms. Crosby received her bachelor’s degree in biology from the University of Virginia, took graduate courses in nutrition at the University of North Carolina’s Gillings School of Public Health, and finished her nutrition coursework at the University of Maryland-College Park. She completed her dietetic internship with Virginia Tech in the Washington area. When she’s not helping people feel their best with plant-based food, Lee loves sharing delicious (and healthy) recipes from her blog, Veggie-Quest.com. You can also find her swimming, gardening with her husband, doing battle with a New York Times crossword puzzle, and drinking slightly more coffee than a person should. Damien was an Australian Naval Clearance Diver, Special Operations Sniper and Iraq War veteran. He project managed the Iraq Special Police Training Academy in northern Baghdad preparing Iraq’s paramilitary forces for combat. 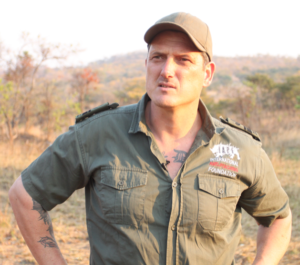 In 2009 he founded the ‘International Anti-Poaching Foundation’ (IAPF) – a multi-national not-for-profit conservation organization working across Southern and East Africa. Damien is the founder of ‘Akashinga – Nature Protected by Women’, an all female conservation model in Africa, and ‘Back-to-Black Roots’, a grass-roots rural vegan moment in African communities. His 2013 TEDx talk on speciesism has been seen more than 7 million times across various platforms. Damien was the winner of the 2019 Windsome Constance Kindness Gold Medal for 2019, a prestigious international recognition for services to animals and humanity. He resides in Zimbabwe. 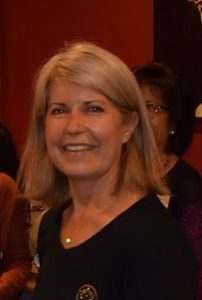 Gwyn Whittaker was founder and Chief Executive Officer of Mosaic, Inc., a strategic and technical consulting firm to the Intelligence Community (IC), for over ten years. Mosaic was acquired by LinQuest in August 2011 and Ms Whittaker was a general manager/vice president for the Mission Intelligence Integration (MI2) business unit through August 2013. Currently, Ms Whittaker is an Independent Consultant supporting the NRO’s Mission Intelligence Integration Directorate (MID) front office in support of the IC ITE transition, and the CEO of GreenFare Organic Café. After the acquisition of Mosaic, Ms Whittaker turned her attention to the field of health care. The documentary Forks Over Knives inspired her to reach out to a leading cancer researcher in the film, T Colin Campbell, who sponsored a 10 day project on diet change with 45 people, with profound life changing results. GreenFare Organic Café was opened six months later with the purpose of delivering a 21 day program from the Physicians Committee for Responsible Medicine (PCRM) called 21 Day Kickstart, which includes classes, community, and 21 days of organic, whole plant food. Over 650 people, including three dozen medical professionals and senior leaders from the Intelligence Community have completed this program. Multiple doctors are referring their patients to the GreenFare to enable weight loss, reduction of pain and/or medication through this program. GreenFare Organic Café is at 408 Elden Street, in Herndon, VA 20170 and www.greenfare.com. 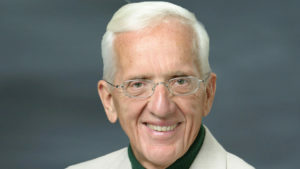 T. Colin Campbell, PhD has been dedicated to the science of human health for more than 60 years. His primary focus is on the association between diet and disease, particularly cancer. Although largely known for the China Study–one of the most comprehensive studies of health and nutrition ever conducted, and recognized by The New York Times as the “Grand Prix of epidemiology”–Dr. Campbell’s profound impact also includes extensive involvement in education, public policy, and laboratory research. Dr. Campbell grew up on a dairy farm and was the first in his family to go to college, where he studied pre-veterinary medicine at Pennsylvania State University. After obtaining his bachelor’s degree, and while completing his first year at the University of Georgia veterinary school, he received a telegram from a well known professor at Cornell University, offering a scholarship and research opportunity too good to turn down. And so he completed his education at Cornell University (M.S., Ph.D.) and MIT (Research Associate) in nutrition, biochemistry and toxicology. He then spent 10 years on the faculty of Virginia Tech’s Department of Biochemistry and Nutrition before returning to Cornell in 1975 where he presently holds his Endowed Chair as the Jacob Gould Schurman Professor Emeritus of Nutritional Biochemistry in the Division of Nutritional Sciences. 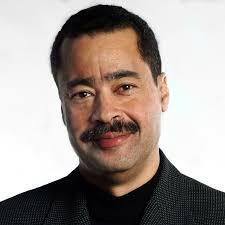 Courtland Milloy began writing for newspapers as a high school student in 1967. He learned the craft from his father, who taught journalism and graphic arts, and his mother, who taught typing and shorthand, both at Booker T. Washington High School in Shreveport, La. Milloy came to The Washington Post from the Miami Herald in 1975. He has covered crime and politics in the District during the Marion Barry administration and the transition of Prince George’s County, Md., from a mostly rural white D.C. suburb to the wealthiest predominantly black county in the country. He has also written for The Post’s Style and Foreign sections and for The Washington Post Magazine. In 1983, he began writing a column, which runs on most Wednesdays. The Exam Room Podcast LIVE! Chuck Carroll will be recording a live podcast with each of the speakers as they exit the stage. 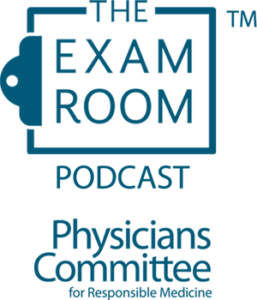 The Exam Room™ is the ultimate vegan podcast from the Physicians Committee. Dr. Neal Barnard, a real-life rock star and authority on plant-based living, motivates and inspires the vegan-curious and those who have been plant-powered for life. Learn the secrets to radically improving your health as show host “The Weight Loss Champion” Chuck Carroll, who lost 265 pounds and kept it off, goes one-on-one with others who have transformed their lives. 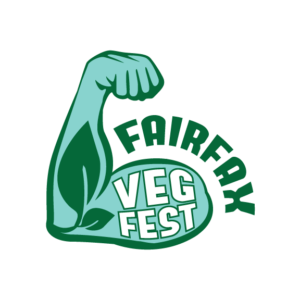 Then dive into the science of a vegan diet! What can eating just one hamburger do to the body? Is cheese really addictive? Plus, recipes and breaking medical news from the Physicians Committee.